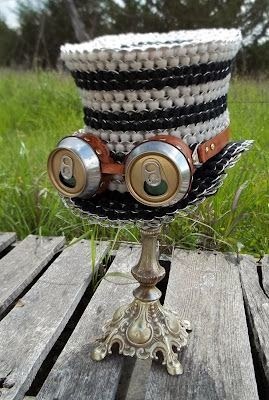 As a self proclaimed lover of Junk, I always save doodads of all kinds and I have been saving pop tabs for a while now with plans of creating some recycle pop tab art with them, I have come across some wonderful tab art inspiration over the net and wanted to feature some of great finds for this weeks junk roundup, enjoy! *All photos and artworks featured in this round up are to be credited to the featured artists with their web links respectfully posted and may be subject to copyright. 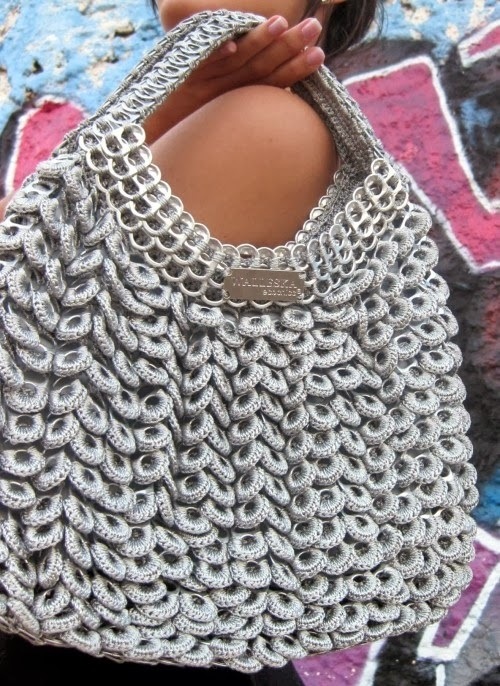 The first bag I found on Pinterest linked to a Spanish website. I don’t read Spanish so I can give credit to the original artist, bummer. I have found Etsy to be a great inspiration jumping point. 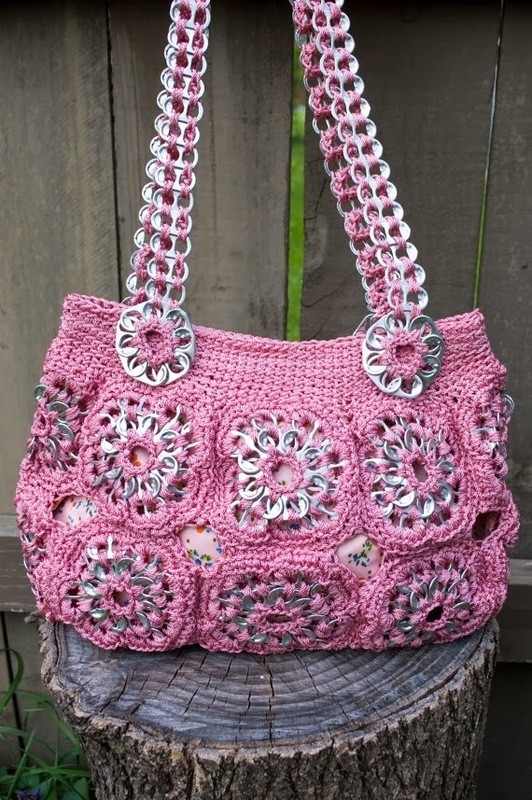 next up is a great bag found on Etsy by Flor7 I really love this pattern! She earned third billing with these creative fashion ensembles. Miel designs awesome fantasy wear ranging from steam punk and Victorian to Turkish and pirate wear all in an art form that she terms as Tabistry. Her other works are definitely worth checking out! 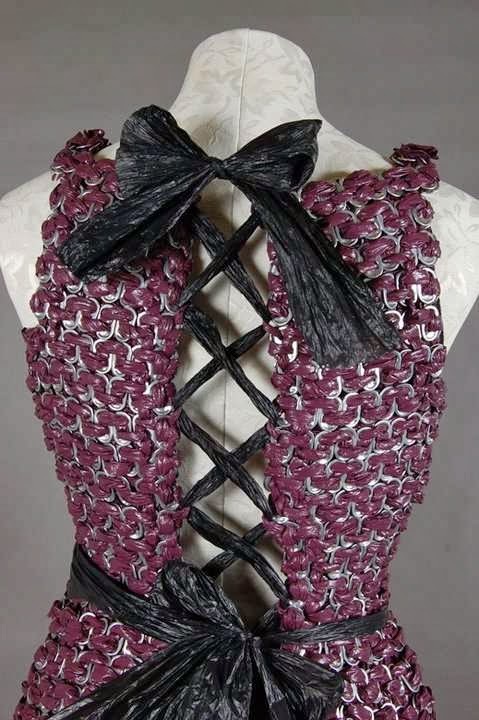 Speaking of Soda Tabs in fashion, there are some wonderfully creative pop tab creations in couture across the net. Here is a great piece created by Casey Hansel. 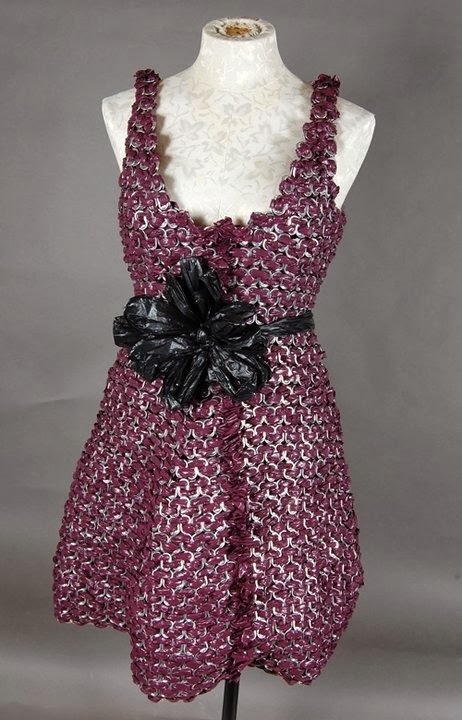 She started creating recycled couture in middle school, at 18 while in college she put together this ensemble. Her prom dress is created from garbage bags and soda pop tabs, how ingenious! And I cannot finish this collection without some Pop Top Jewelry of course! 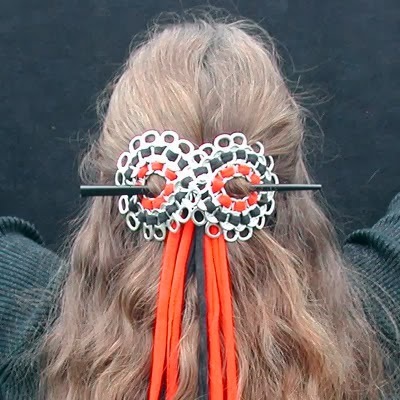 There are so many Soda Pop Tab artists out there who create great tab jewelry. 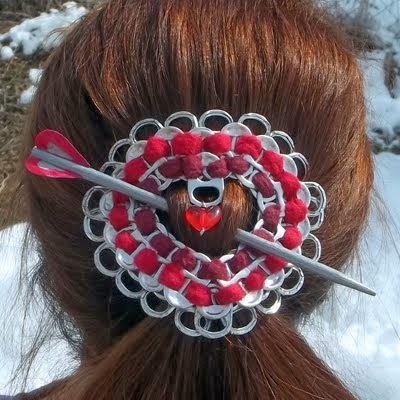 However, I have to give credit to The Pop Top Lady aka Claudia Zimmer for her great creations. 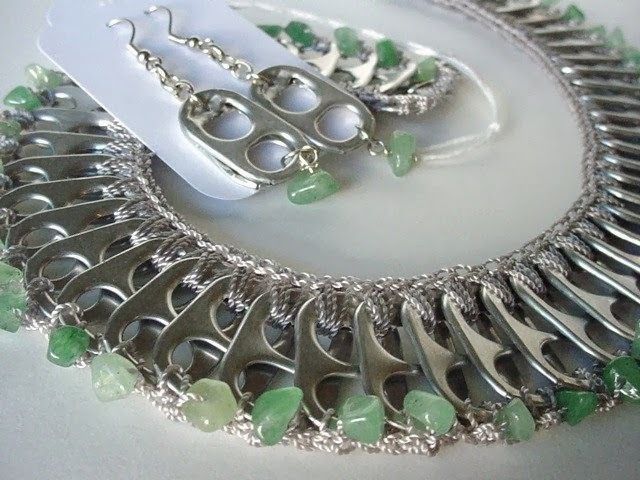 She makes all sorts of wonders and you can check out her portfolio on flicker to see them all. I adore her necklaces made with semi precious stones and pop tops! 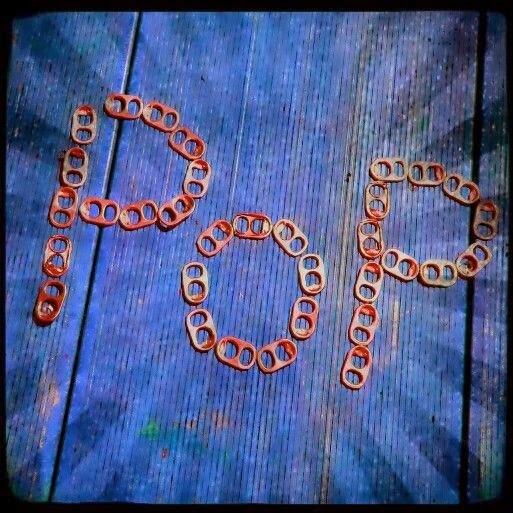 Hope you enjoyed this weeks art collection, and it inspired you to start saving those pop tabs to create something!